An Post’s €7 million GPO Witness History visitor attraction commemorates the events of 1916. 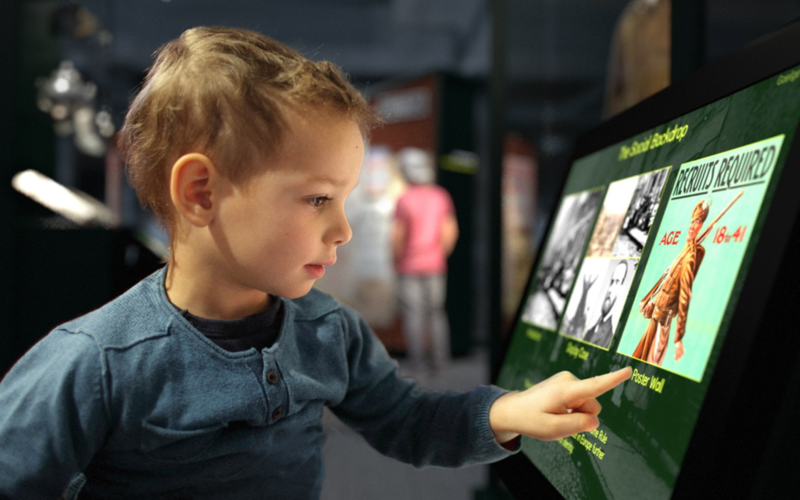 The attraction is an interactive visitor facility bringing history to life though technology, video, sound and authentic artefacts. The centrepiece of the visitor attraction is an immersive semi-circular audiovisual space which puts visitors right inside the GPO during the five days in which it was both the military command centre, and the seat of the Provisional Irish Government. Chart the problematic relationship between the two sides of the divide in the 100 years hence. Selection of the art music and literature inspired by, or created in reaction to, the 1916 Rising. Touch screen allows visitors to debate the relevance of the ideals of the 1916 Proclamation. Visitors encouraged to reflect on their own vision for the next hundred years of the Irish Republic. The booking system allows visitors to secure their tickets well in advance, affording Irish and international tourists alike the opportunity to schedule this immersive and entertaining cultural experience amongst the wide range of delights that Dublin has to offer visitors of all ages and interests. www.gpowitnesshistory.ie provides details on the visitor centre – one of the Government’s key 2016 commemoration projects – the exhibits, an outline of the role the GPO had to play in the 1916 Rising as well as a broader history of the GPO itself. 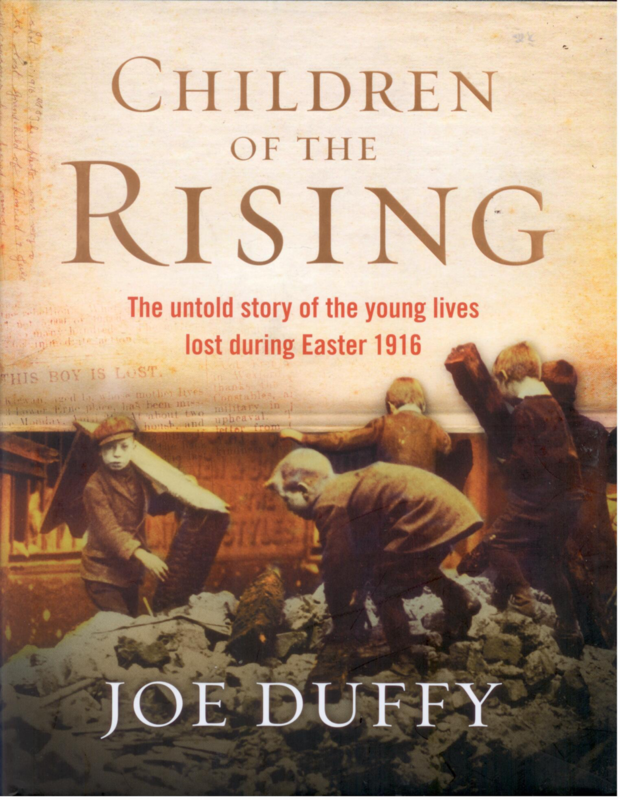 This is a highly readable and well researched account of one aspect of the Rising which has been largely ignore up to now and Joe Duffy is to be congratulated for highlighting the suffering of not only those children who were killed or wounded but also those who lives were blighted by the tumultuous events of Easter week 1916. It is not a dry, scholarly work, and all the better for that, as it chronologically traces the conflict from the very beginning, noting that within 24 hours of the Rising starting 14 children were killed. The first child to die in the Rising, Sean (John) Frances Foster, was shot in his pram on Church Street on Easter Monday. 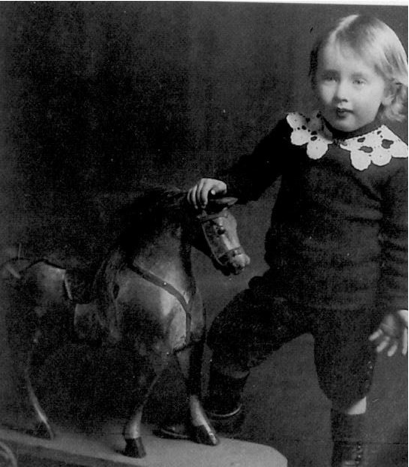 He was one of forty children, aged sixteen and under, who died in the Easter Rising. Children of the Rising is the first ever account of the young lives violently lost during the week of the 1916 Rising, and up to now almost never commemorated. Boys, girls, rich, poor, Catholic, Protestant – no child was guaranteed immunity from the bullet and bomb that week where teeming tenement life existed side by side with immense wealth. Altruism is the foundation on which today’s world of genealogy is built. Family history societies around the world were creating databases to share information freely before the Internet was heard of. The volunteer spirit is still alive, and there are great outlets for those wishing to contribute. 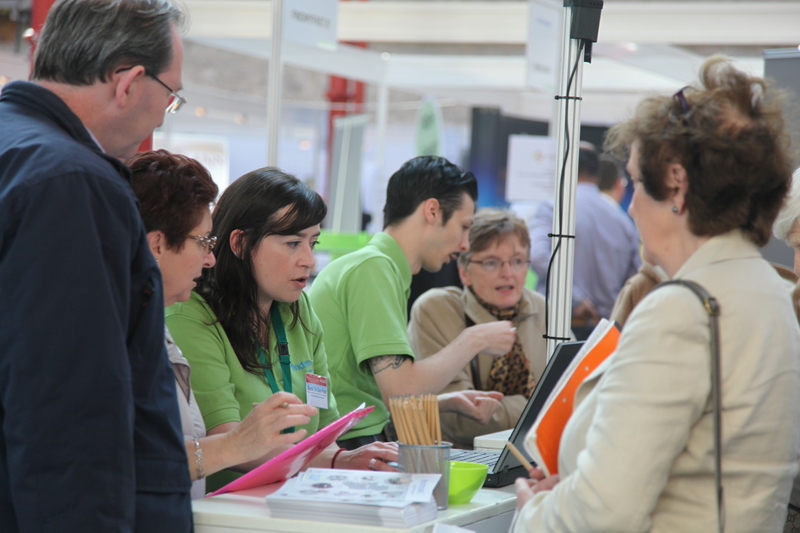 Ireland Genealogy Projects Archives (IGPA) is a prime example. Christina Hunt, the IGPA manager, tells its story. With some 40,000 transcribed and searchable headstone photos and many thousands of transcriptions from church registers, court, military, land and will records, obituary columns and other miscellaneous resources, Ireland Genealogy Projects Archives (IGPA) has come a long way in just five years. The ‘archives’ evolved as a natural supplement to Ireland Genealogy Projects, our long-standing collection of ‘county’ websites, each of which provides in-depth advice on researching family history at the county level. Each county contains links, research addresses and photos, and some have a selection of transcriptions. IGP was led by the late Don Kelly for more than a decade. Our ‘County’ webmasters and our archives ‘File Managers’ are all volunteers. At the county level I started out as webmaster for Co. Longford and Co. Tipperary. In the past, I put all kinds of transcriptions in my county projects. Since starting the IGP Archives, my main focus has been on the creation of a wellorganised repository. I think of it like a filing cabinet with the Counties as headings, and then the Subjects under each county. In the IGP Archives, sharing is very much our ethos. Our view is that a lot of people have a lot of information in their possession. We want the IGPA to be a place where people, whether their families remained in Ireland or emigrated, can share publicly what they have with other family historians. There are the usual categories that you would expect – birth, marriage and death records, cemeteries and newspapers – but we also have subjects that feature more heavily in Irish research such as Census Substitutes and Constabulary records. All our records are submitted by family historians from around the globe, and apart from photos, they are presented in plain text which saves space and loading time. With technology changing so rapidly, we also hope plain text will be around for a long time. Text files are easier to copy and paste, which is useful when you want to save a record to your computer or into a genealogy programme or an email. We like to think that we are not just sharing, but helping to preserve information collected by avid Irish genealogists. Spreadsheets have always served as a useful tool for pulling data out of a document such as a set of baptisms or marriages. Genealogists have already been doing this as they research their families. We convert it to plain text in columns, and upload it to the Archives. For people who want to share, but have not already transcribed their documents, we have Submission Forms by Genrecords <www.genrecords.org/irfiles>. These forms were created by David Crosby for use in the USGenWeb Archives. The forms create a text file for us which speeds up the process. Headstones are a growing category in IGPA and can be a treasure trove in Ireland, providing names of parents and/or siblings. Considering the lack of records in other areas, they can be a little genealogy set in stone. While the rest of IGPA is text-based, the headstones section is image-based. We use a free programme called Picassa (a Google product), which can take a whole folder of photos and create a webpage from it, complete with a thumbnail of each photo. With billions of records online at Findmypast, researching your family tree may at first seem a little daunting. Follow these easy steps to help you get started. Write down what you already know about your ancestors – just the facts, not the rumours! Ask your family, especially the older members. Sign up for a free subscription on the Findmypast stand at Back To Our Past, with access to millions of Irish records that date back as far as the 1600s. Start building a family tree at Findmypast. It’s free to use and totally secure. Put the initial information you have acquired into your tree and begin to grow from there. Add any extra information that you find along the way to each family member’s profile. When you’ve found an ancestor on Findmypast, use the information in the index to order their birth, marriage or death certificate from the General Register’s Office. Certificates provide lots of extra detail, such as parents’ names, occupations and address. Discover your family in our surviving census records as well as excellent substitutes including the exclusive Landed Estate Court Rentals, and the indispensable Griffiths’ Valuation. Findmypast have scanned millions of pages of historical local Irish newspapers, dating from the 1700s to the early twentieth century. Search for your ancestors within their pages to discover what life was like and add more detail to what you know about your family history. Newspapers reported both local and national news, inquests, obituaries, scandals and criminal trials. Explore Findmypast’s other collections – there are billions of records to search! You could learn about your ancestor’s time in the army, at sea or even in prison. Find living relatives and discover other overseas ancestors with collections available from all around the world. 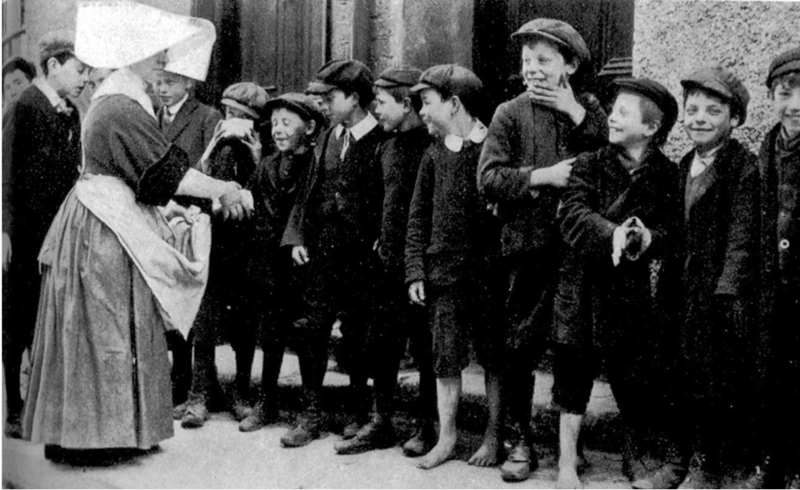 Exclusively online at Findmypast, these rich registers record nearly 80 years the poorest people in Dublin as they seek refuge in the workhouses. Most Dublin families will find a connection amongst these 3 million records. Titles that have joined the collection recently include Carlow Post, Downpatrick Recorder and The Evening Freeman. There are now over 80 titles and millions of articles to explore in the archive. 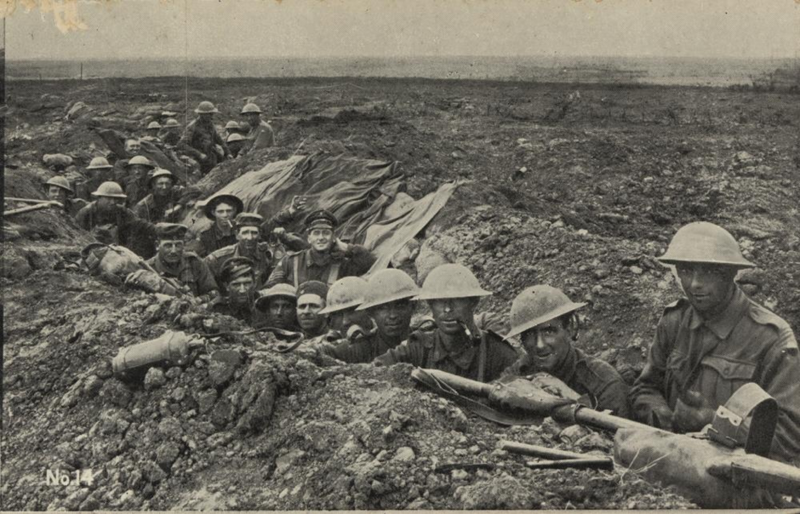 If you had a relative in the newly-formed Free State Army in 1922, explore these records to find out where they were during this military census. It is difficult to trace someone in the United States when their whereabouts are completely unknown, as there are no central records of names and addresses available to the public. For those trying to locate former colleagues, friends or relations the following information may be of assistance. When writing to an agency or organization listed below, you should provide as much information as possible about the person you seek. At least the full name, date and place of birth should be given. For military personnel, the rank, serial number and branch of service should be specified. NB: IMPORTANT NOTICE – It is NOT possible to trace the whereabouts of persons through U.S. Immigration channels. Records of the U.S. Immigration and Naturalization Service are protected by the Privacy Act and cannot be divulged to third parties. LOCATING RECORDS OF ANCESTORS IN THE U.S.
Registrar of Births, Deaths and Marriages to whom you can direct inquiries, however the American Citizen Services Unit, the Consular Section, the American Embassy, 42 Elgin Road, Ballsbridge, Dublin 4, Phone: (01) 237-5809/5810, would be happy to supply you with addresses of the relevant offices when you are in a position to identify the state or states. For your information, it is often extremely difficult to locate a specific record of a birth, death or marriage without exact information as to the names of the parties involved, the date of the event and the place in which it took place, etc. In the case of the Social Security Administration, a $3.00 fee applies in cases involving a monetary purpose. An International Money Order in dollars should be enclosed and made payable to the Social Security Administration. The SSA will be unable to report whether or not the letter is actually delivered. The American Red Cross maintains a database to help you find family. 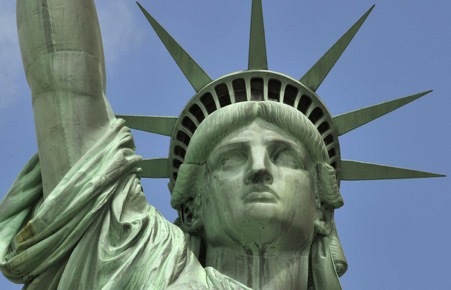 The Irish Consulates in the United States may also be in a position to assist you. The above locator offices may be able to provide a current address, and in some instances will attempt to forward correspondence to the individual’s military base/unit. Correspondence for the missing service member can be enclosed – together with a brief letter of explanation – to the appropriate service locator. The letter to be forwarded should contain nothing of value and be in a plain, unsealed, unstamped envelope bearing only the individual’s grade, full name, and, if possible, military serial number. Please ensure that your name and return address – including country – is clearly indicated on the top left hand corner of the envelopes, as required by the U.S. Postal Service. Please note that a nominal fee may be charged for this service. Letters written to the above publications should be brief and preferably typed. Do not send documents or photographs, and please ensure that your name and return address – including country – is clearly indicated. Requests for information on former military personnel should be addressed to the National Personnel Records Center, Attn: Military Personnel Center, 9700 Page Boulevard, St. Louis, MO 63132, U.S.A. You should be aware the addressed on record with this office are usually those furnished by the service member at the time of discharge from the armed forces and they are rarely updated. You may be required to provide adequate information concerning the service member and proof that your inquiry is made with the permission of the service man’s next of kin. The following organizations all pertain to veterans of World War 1, and maybe able to help you in your search for persons involved in these conflicts. Veterans of World War 1 of U.S.A. 941 N. Capitol St., N.E., Room 1201-C, Washington D.C. The following organizations all pertain to veterans of World War II, and maybe able to help you in your search for persons involved in these conflicts. The following organizations all pertain to veterans of Vietnam, and maybe able to help you in your search for persons involved in these conflicts. 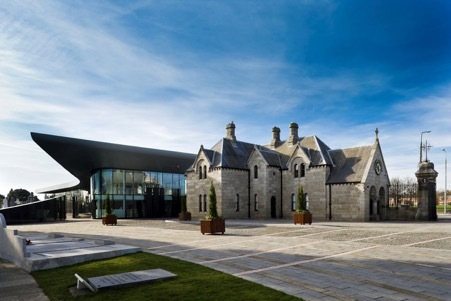 As winners of Tripadvisor’s Traveller’s choice award in 2013, and listed as one of Dublin’s top 3 attractions, Glasnevin Museum proudly tells the story of modern Ireland through interactive exhibitions and engaging cemetery tours and delivered by personable, well informed guides affording visitors a heightened sense of understanding, and a deeper appreciation of its never forgotten residents. Known locally as “The Dead Centre of Dublin”- Ireland’s largest Cemetery where the social, political and historical timeline of this great city is carved in stone. Irish icons like Collins, de Valera, Parnell, ‘Big Jim’ Larkin, Countess Markievicz, Brendan Behan and Luke Kelly rest peacefully in this original 1830’s Victorian garden cemetery. Linked via gateway to the Botanic Gardens and voted number 1 attraction in Dublin (2013, Tripadvisor Travellers Choice Award), there are over 17,000 plants and 200 acres of beautiful parkland to enjoy. Key to Glasnevin’s success is the popularity of the tour guides whose enthusiasm is compelling. With one and a half million stories buried in Glasnevin there’s no shortage of tales to tell. Learn about the harsh realities of life in Dublin, eavesdrop on the stories of former gravediggers, touch the casket of Daniel O’Connell, or simply ponder the fascinating lives of those who walked these streets before us. Construction is underway to rebuild the winding wooden staircase that once ran up the centre the 168ft O’Connell tower monument in Glasnevin cemetery the tallest of its kind in Ireland. Visitors to the top will witness spectacular views of Dublin. There are over 1.5 million people buried in Glasnevin Cemetery. Delving into this rich resource Glasnevin captivates the curious through special events, tours, re-enactments, orations, lectures, festivals, commemorations, exhibitions, poetry readings, bringing legend to life in dramatic fashion. A visit to Glasnevin is a must for anyone interested in the rich cultural texture of Dublin. Celebrating history, heritage and culture, join this intriguing journey through Ireland’s past. A pedestrian gateway between the world famous National Botanic Gardens and the Cemetery is open making it the second largest green space in Dublin with over 200 acres of mature parkland, and home to the largest collection of protected structures in the State. City Sightseeing Bus tours now provide a hop on hop off bus service from the city centre. A genealogy voucher worth €5.00 with every ticket. Search your family tree, all records online. Private and public tours available daily, special interest and educational groups welcome. Catering for ad hoc groups, private & public tours and serving breakfast, lunch & snacks throughout the day. Shop and café – Browse the terrific collection of Irish crafts, jewellery, mementos, historical books, and other interesting gift items in the museum shop. Public Transport: Bus no’s 40 & 140 from O’Connell St direct to door. Re-enactments daily at 2pm, April – Oct.
Tours include visit to Daniel O’Connell’s Crypt. The Tower Café: Serves lunches and snacks throughout the day. Museum Shop: There is a shop located at the entrance to the museum offering a wide range of Irish history books & literature, arts, crafts and gifts. Facebook, Twitter, Pinterest, flickr, instagram, youtube. Free Wifi in seated café area. 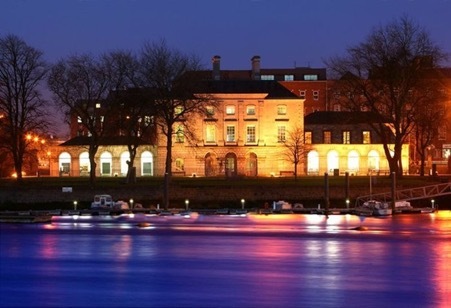 The Hunt Museum is home to one of Ireland’s greatest private collections of art and antiquities, all housed in the elegant 18th Century Palladian style Custom House overlooking the majestic River Shannon. This diverse collection of art and antiquities was acquired by John and Gertrude Hunt over their lifetimes and dates from Stone Age to modern times. The purpose built Exhibition gallery, exhibits a diverse range of important temporary exhibitions from public institutions to private collections. Guided tours of the permanent collection and/or temporary exhibitions are available all year round at no extra cost. There is a lot more to see and do at The Hunt Museum with exciting year-round programs for adults with diverse interests, needs, and learning styles. A visit to the Hunt Museum Gift Shop offers an interesting and delightful range of high quality gifts, including jewellery, books, greeting cards, silk scarves and ties, gemstones, ceramics, prints, and historical reproductions. Whilst the riverside restaurant, which features a terrace overlooking the beautiful Shannon River and Curragower Falls, provides the perfect location for a leisurely lunch or quick refreshment. Opening Times: Mon – Sat 10am – 5pm; Sunday 2pm-5pm. Closed New Year’s Day. Admission free. Opening Hours: Tours (1.5 hours approx.) run at 10.0am, 12.0pm and 3.30pm Monday to Saturday and Bank holidays. With award winning guided house tours, an engaging 3D interactive basement exhibition, gorgeous award winning tea rooms, historic horse and carriage rides, stunning handmade artisan crafts, an old forge, cultural sheepdog demonstrations, an 18th walled garden currently in restoration, award winning West Wing accommodated shortlisted for an RIAI Conservation Award in 2014 and a playground and a maze, Russborough House is a ‘must see attraction’ that appeals to families and art and culture lovers alike. Situated just a stones throw from the city centre, our sheepdog demonstrations at Russborough tell the unique story of rural life in Ireland. Come and learn about the intelligence of the border collies as they follow the command of a whistle in varied pitches to lead the sheep around the fields of Russborough. Over looking the stunning views of the Wicklow mountains, the demonstrations will teach you about the culture and life in Ireland in fun, lighthearted ways. Learn about the various sheep, some that date back to pre-christian times, in Ireland. Our host, Michael Crowe has the unique gift of making you laugh while you learn a little more about rural life. These sheepdog demos are ideal for international guests, hen parties or local families on a fun day out in Ireland! They are available daily at 11.30am and 3pm and are priced at only €5 per person. Walk back in time with us to the beautiful, romantic feeling of wandering through the fields and pathways of this gorgeous parkland on an ancient, historic horse and carriage. 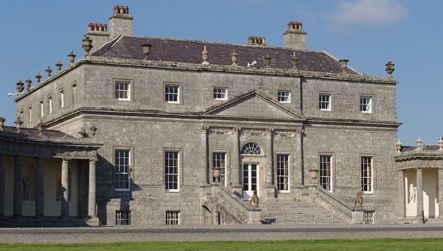 You can learn about the history of Russborough as you sit back over lr are hosted by Michael Crowe a local farmer who will make your trip a moment to remember! They are available daily from €20. The Tea Rooms at Russborough have a wonderful selection of salads, warm food, quiches and soups to award winning coffees or herbal teas. Enjoy a slice of chocolate gateau as your children wind their way through the maze at Russborough. Or if the sun is shining why not treat yourself to one of the many flavours of ice-cream we have on offer! Come and enjoy the tasty flavours of the tea rooms at Russborough. Arigna Mining Experience centre was developed to preserve the energy heritage of the Arigna Valley and to ensure that Arigna maintains its link with energy themes: past, present and future. This Energy Centre provides visitors with a unique insight into what coal mining life was like in the Arigna Valley, since its beginning in the 1700’s until closure in 1990. During the underground tour, visitors will experience what it was like to work in some of the narrowest coal seams in the western world. The tour which will last 45 minutes brings visitors to the coal face of the mine, where the methods used to extract coal are demonstrated. Lighting and sound effects in the mine, add to the authenticity of the underground experience. Local geology and the formation of coal deposits are explained in our exhibition area, as is the history of energy production. The exhibition also explains the concepts and operation of different renewable energy systems. Some of these systems can then be viewed in operation in the Energy Centre Building and on the nearby wind farms. 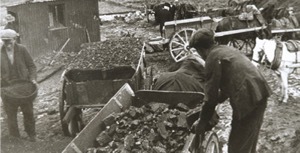 A history tour presents the origins and history of the Arigna coal mines. It explores its impact on the local community, through a photo gallery & displays. The Renewable Energy Demonstrations can be viewed on site in the Centre. Arigna Mines, Derreenavoggy, Arigna, Carrick-on-Shannon, Co Roscommon. Like many people, I didn’t delve into my family history until I was past middle age. When you are young, the past is another country and you are too involved with education, career, partner and children to have time to think about your ancestors. With middle age, for most of us, comes time to think, especially about the influences that made you who and what you are. You begin to wonder about your parents and their lives before you knew them, your grandparents and the generations before them. If you are like me, you leave it until it is almost too late, when the people who are the links with your family history are dead and gone. For most of my childhood, I lived in a small two up, two down house on the north side of the city of Dublin. Many of our neighbours had other relatives living on the same street or on one of the neighbouring streets. It was a close community where the children played “Relievio” or held impromptu concerts in the street or spent the summer days rolling down the hills in the People’s Gardens of the Phoenix Park. My grandparents were old when I was born; I was the daughter of their youngest child. They seldom talked about their lives when they were young. At times, I caught glimpses into their past: a shred of luminous silk which I found at the back of the wardrobe, a box of medals which I played with, my grandfather wearing a red poppy when no one else on the street did, a whispered story about burials at sea. A picture in an ornate frame which hung over the sideboard intrigued me: my grandfather looking dashing in uniform, my grandmother elegant in a beautiful lace dress, a blonde baby between the two of them. Who was she, I asked? “That’s my first baby, Nancy, she died when she was a baby, when we were on our way to India”, I was told. My grandparents died and I grew up. I didn’t really think about their past until a cousin began to investigate my grandfather’s military history with the Connaught Rangers. We discovered that he had also served in Cyprus and North Africa before he met my grandmother. They spent seven years together in India and he served in Flanders during WW1, leaving my grandmother and her children at home for four years. I began to look at the dates of his military career and realised that he and my grandmother had lived through some of the most momentous events in Irish and European history. I knew that I wanted to write their story. How to write it was the next question. I could have written it as a memoir but there were too many pieces of the jigsaw missing. I decided to write it as a novel which would give me the freedom to be creative when I didn’t know the real facts. I had always been a writer, of short stories, articles, reviews and interviews but this would be my first novel. Then I began to think about how to write it. Apart from the fact that I know little about military matters, I felt that there were enough excellent books about that period of history which gave the male point of view. I decided to write from my grandmother’s point of view, to try to give some insight into the lives of the thousands of Irish women who stayed at home while their husbands went to war. I then began to research my grandmother’s life. I knew that she had grown up on Lord Lucan’s estate in Castlebar, Co Mayo where her father was the lodge keeper. I visited Castlebar and found the ruins of the Lucan home but not the gate lodge which had been demolished. My grandmother’s siblings were all girls which made it more difficult for me to trace their descendants. The local library was very helpful and found a number of newspaper articles which mentioned my relatives. I realised that my grandmother had had a genteel upbringing and worked as a maid/ governess with the chidren of Lord Lucan. I knew that she enjoyed the years in India, the luxury and the servants. How had she adjusted to life in a small house in a poor area of Dublin? Family lore told me that my grandfather had been in Flanders for all of WW1 with only one trip home. While he was away, the family lived through the momentous events of 1916, the War of Independence and the Civil War. My grandmother had made occasional reference to things like hearing Michael Collins speak. “He was the most handsome man I ever saw” she told me. She also attended the funeral of Arthur Griffith. Though she remained pro-British, her children became nationalists, which must have created tension in the home. I always loved history and enjoyed verifying the events which impinged on my family. The historical facts in my novel are as accurate as I can make them. Some of my family history has been changed because many of the grandchildren are still alive. I changed the names and genders of my aunts and uncles but the events are real. When telling my story, I tried to be non-partisan and to reflect the different, legitimate points of view of the different opinions at the time. I hope that I have succeeded. A Soldier’s Wife by Marion Reynolds was published on 1st May by Indigo Dreams Publishing at £ 8.99 or €10.99 in Ireland and is available from my website www.marionhreynolds.com or fromindependent bookshops and Amazon.